2017/2018 DLI Residential Programme will commence from Monday, 8th October, 2018. All DLI Students are expected to complete their course registration for the 2017/2018 session on or before Sunday, 30thSeptember, 2018. Upon completion of the course registration, the ‘Hostel Application Button’ is enabled for allocation of hostel bedspace and printing of accommodation slip. At the day of resumption, students are expected to report at the hostel with the print-out of the accommodation slip between Wednesday, 10th October and Thursday, 11th October, 2018 for year 4-6, and Sunday, 28th and Monday, 29thOctober, 2018 for year 1 – 3. Receipt of payment of full service charge for the current session. Two copies of online printed Accommodation Slip. Evidence of registration with the University Medical Centre. Students are to complete payment of fees on or before Friday, 21stSeptember, 2018. Registration for courses for Year 4 – 6 students ends on 30th September, 2018 and for Year 1 – 3 students ends on 21stOctober, 2018. There shall be no further extension. Students are required to come to the examination centre with one recent passport photograph for each of the registered courses. The passport photographs must be the same used to register for the current academic session. Printing of Examination dockets would be enabled from Saturday, 6thOctober, 2018. Final year Project defence will commence (for those who have completed registration) from Monday, 24th to Saturday, 29th September, 2018. Note that ONLY students of the Institute who are fully registered will be allowed to write examination. Unregistered students who sit for the examination will have their results nullified. THE DISTANCE LEARNING INSTITUTE (DLI) MANAGEMENT APPEALS TO EMPLOYERS TO KINDLY RELEASE THEIR RESPECTIVE EMPLOYEES WHO ARE DLI STUDENTS. THIS IS TO ENABLE THEM PARTICIPATE IN THE FORTH-COMING RESIDENTIAL PROGRAMME, DURING WHICH THE 2017/2018 SESSIONAL EXAMINATIONS WILL BE CONDUCTED. 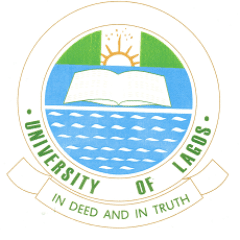 Recommended: UNILAG Distance Learning Institute (DLI) Academic Calendar for 2017/2018 Academic Session.